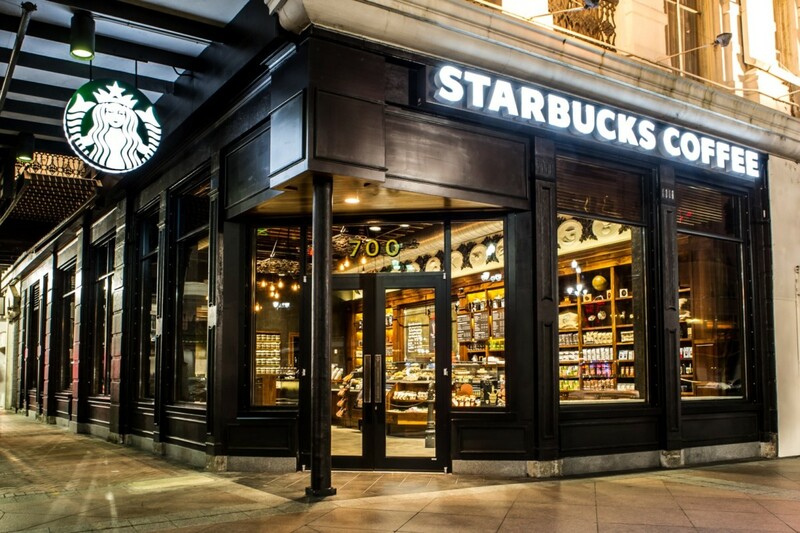 Starbucks has over 18,000 stores worldwide and they’re still building ones and expanding their business. Unfortunately, their customer’s waistlines could be expanding along with the company’s revenue. There’s no doubt that Starbucks has played a major role in introducing the public to new exciting and very tasty ways to serve coffee, and they have come out with a few other tasty treats of their own as well. What we should all be aware of, however, is that a number of these liquid delights have more calories in them than some entire meals. Here’s a menu item that’s guaranteed to attract my eyes anytime I stop by my local Starbucks. I admit it. I have a serious attraction to white chocolate, and I’m bound to try just about anything that includes those two words in its name. This one is concocted by blending espresso, milk, ice, white chocolate sauce, and whipped cream. The 16-ounce result contains 49 grams of sugar, 200 milligrams of sodium, 20 grams of fat, 60 milligrams of cholesterol, and 420 calories. Did I mention that it has white chocolate? The more health-conscious among us probably know that dark chocolate is a good deal healthier than milk chocolate, but substituting dark chocolate for milk chocolate doesn’t do a whole lot to move this drink from the “naughty” to the “nice” list where weight loss is concerned. This one contains 38 grams of sugar, 160 milligrams of sodium, 13 grams of fat, 25 milligrams of cholesterol, and 330 calories. Okay, so it might seem that the words “iced” and “smoked” shouldn’t accompany each other in the name of any product, but considering that it’s been on Starbucks’ menu for nearly two years, it’s probably safe to assume that it is pretty darn tasty. That 16-ounce mug comes filled to the brim with milk, ice, smoked butterscotch sauce, brewed espresso, smoked butterscotch and sugar topping. If you really want to know, it has 51 grams of sugar, 430 milligrams of sodium, 17 grams of fat, 55 milligrams of cholesterol, and 420 calories. Just hearing the name of this drink sounds as if it might add an inch or so to the waistline. It consists of milk chocolate truffles bathed in espresso and finished off with a topping of steamed milk. It may sound like the perfect marriage of coffee and chocolate in a 16-ounce cup, but be aware that it also features 40 grams of sugar, 160 milligrams of sodium, 12 grams of fat, 30 milligrams of cholesterol, and 330 calories. A lot of us have been taught that substituting honey for sugar is a healthier option, and while that may be true, don’t be fooled into thinking that this 16-ounce treat is any more diet-friendly than the others. It’s made by combining steamed milk and caramel-honey sauce. The dirty details: 45 grams of sugar, 290 milligrams of sodium, 12 grams of fat, 50 milligrams of cholesterol, and 340 calories. What could possibly go wrong with a hot drink that so many of us enjoyed in our childhood after coming in from playing outside on a cold winter day? Well, this ain’t your mom’s hot chocolate and nobody knows how to corrupt a wholesome and traditional beverage quite like Starbucks, even if does put mom’s version to shame. This 16 ounces of vanilla- and mocha-flavored syrups, hot chocolate, whipped cream and chocolate drizzle also comes with 43 grams of sugar, 170 milligrams of sodium, 10 grams of fat, 55 milligrams of cholesterol, and 400 calories. It may not stretch the imagination all that much to conclude that a drink with a name like this could be hazardous to your diet. This 16-ounce offering sounds like a delightfully tasty drink made with a whole banana, mocha flavor, whey protein, fiber powder and ice, but the devil is in the details. This beverage also includes 34 grams of sugar, 5 grams of fat, 15 milligrams of cholesterol, 170 milligrams of sodium and 329 calories. Kudos to any regular Starbucks customer who can saunter up to the counter and resist ordering this delightfully decadent 16-ounce beverage at least once. The calorie content is in agreement with that assessment, so be prepared to loosen that belt a notch or two if you decide to indulge. It’s made with coffee, white chocolate mocha sauce, cinnamon dolce flavored syrup and whipped cream sprinkled with cinnamon. What you may not want to know is that it has 85 grams of sugar, 250 milligrams of sodium, 16 grams of fat, 50 milligrams of cholesterol, and 510 calories!